Well, this day I'm in home so I decide write a review for my blog.This is one product that I used everyday for a long time. My lips are very dry so I need a product that moisture my lips without be sticky and greasy.〜〜(∩ω∩*`) And this product the Nivea Essential Care Lip Balm is very good for my lips. ♢ Packaging: Nothing special this is just like other drugstore product but has a nice top os works to me the packaging. ♢ Price: This product is very cheap the price is around of $5 on many drugstores and well you can find on eBay to that same price too. ♢ Texture and Aroma: The aroma is neutral this remember to the glycerin smells like that to me. The texture is creamy but not dense is very light so I really like it. The color is translucent perfect for anytime. 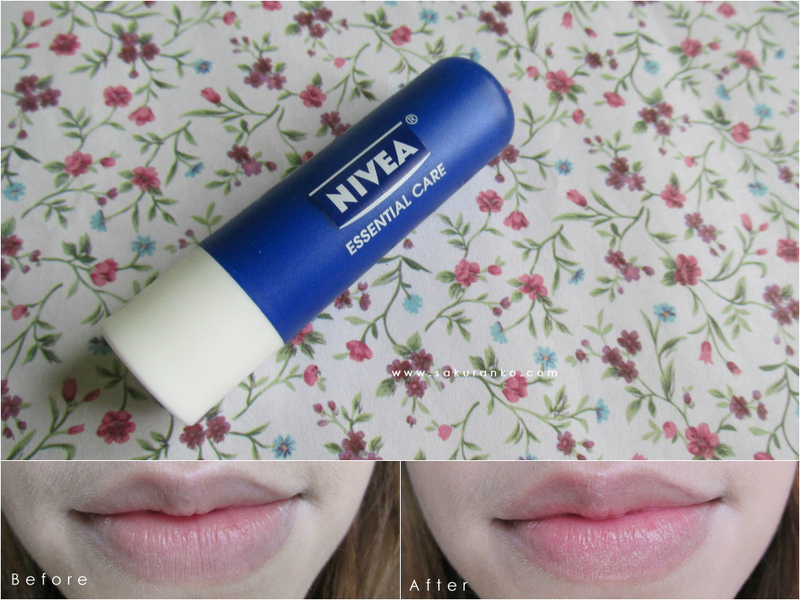 - Moisturizes very well my lips. - Easy to find on any drugstore. - This product is not long lasting. I like this product, first because is very easy to find on any drugstore and second because moisturizes very well my lips, the aroma is neutral but not artificial. ✩⃛( ͒ ु•·̫• ू ͒) The price is excellent for my budget. The only problem is that is not long lasting so after a couple of hours I can´t feel the moisture on my lips and that is very ( •̀ .̫ •́ ) annoying because I need reapply several times on a day. But well I like this product is nice for carry on my makeup bag and reduce my dry lips. 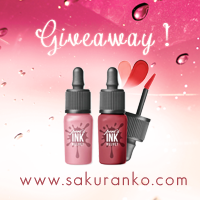 \( ´ω` )/♡ I hope this review can be useful to you! I was two days without internet and was pathetic, but that is not a way to start a fashion post like this. 〜♡ I love it this lovely and cute dress, I Love it the Korean Fashion because all the clothes are very cute. The material it is made ​​is a very good quality, I will be talking more about the store of this cute dress. I love it because looks like a blouse and skirt, and the title says skirt but is a dress. The quality of this dress is excellent, the fabric is very good and I love it, this product is sponsored by Cheapagency but I choose the product so I'm pretty satisfied. Now I talk you about CheapAgency a great place for buy clothes from Taobao. Taobao is a great market where you can buy many products, but is complicated for people of overseas buy there because is a chinese web and many sellers just share the information on chinese. But well, Cheapagency is a great Agency for buy from Taobao. Taobao agent served as a agent to help you buy things from the China Biggest online shopping market - Taobao. By using Taobao Agent, it can save you more money instead of direct buy from Taobao. A Good agent required fluent English to fully understand your requirment. Great Market power to help you get discount from Taobao seller. Help you save money on inland domestic shipping and international shipping. If you are not sure about which Taobao agent to choose, try to contact each with the same request of information and wait for replies. In this way, you can estimate how reactive the agent is, as well as the quality of reply (if it answers to your question in satisfied way): understandable English, clear answer to your question… Consider also, if your own language is available for this service, normally that would make communication easy and fast. There two payments required in your Order. 1st Payment for the item cost + domestic shipping . There Second Payment will be the cost of international shipping+ Service fee. Since we are not the item owner, we can hardly tell exactly what is your ordered item weight. To make lesser estimation, the fee of your international shipping we be calculated once all your item arrived Cheapagency, in the meantime, our staff will try to help you lower your packages weight as best as we can, save more money for you. Last but not least, it reversed the rights for you to change your shipping providers at any time before your second payments. 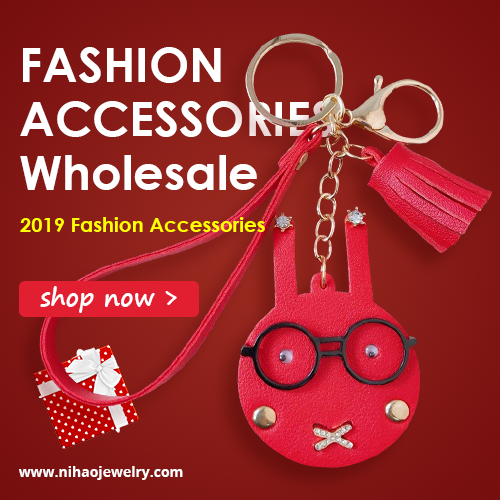 If you need buy products from Taobao because is a great Agency. Hype my Look in LOOKBOOK! I want your read your opinions about this outfit! Wow I need write this review very fast because I need go to sleep why tomorrow I will start with the College again. The vacations are ended. But well this means I´m going working more on my future and that makes me feel good. (b・ω・d) Now is time to talk about the review, my first time with this Korean Brand called Banila Co that was very popular for their cc creams but after read many reviews I concluded that CC Cream was a very yellow tone for my skin tone, but this product the Banila Co Prime Primer Classic always been on my wishlist and now is time for make a review about this product. ◈ Packaging: The packaging is very simple is black and matte transparent plastic the bottle. But I like it because is small so is easy to carry on my makeup bag. I like that has a nice dispenser and the dispenser has a top. ◈ Price: The price in Kpoptown is about $15.88 without shipping included but the price of shipping is not to much so I think the price is very good, obvious is not cheap but for me this product has a nice price because you only need a small amount of product for your entire face. ◈ Texture: This product has a gel texture that is gorgeous for my oily skin. It absorbs by my skin very quickly so for me the perfect is excellent. Just a gel not greasy or creamy.  - Is absorbed into the skin quickly. - Leaves my skin matte over 5 hours without retouch with powder. - This reduces the size of my pores. - On many countries you only can buy this product online. You want buy the Banila Co Prime Primer Classic? I hope you have a cute week! I´ve been nominated to others awards in the past so if you want check and always I say this because, I don´t going to post again something that I was nominated in the past. 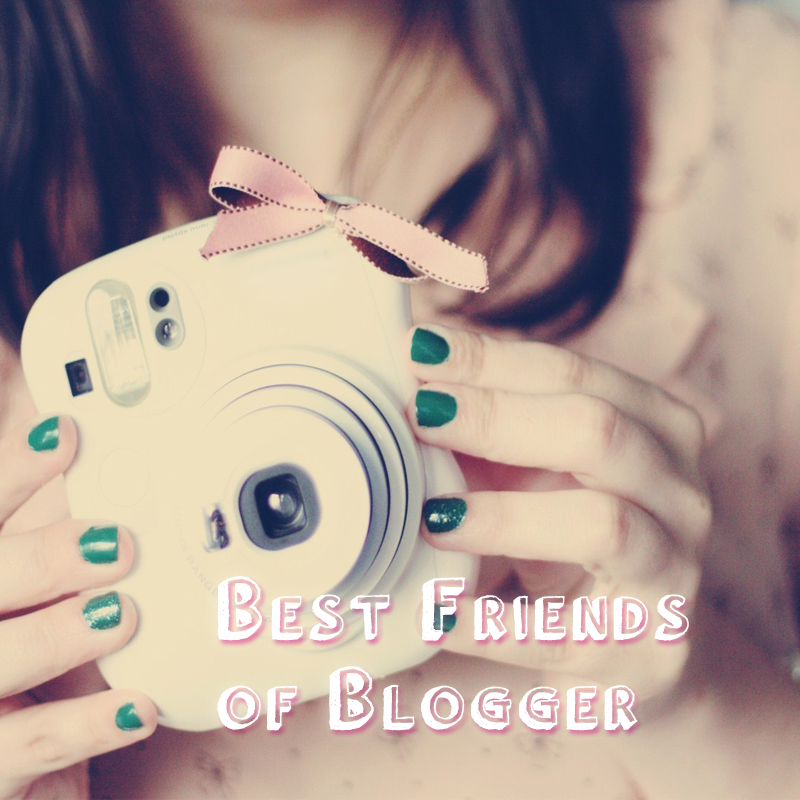 - Very Inspiring Blogger Award! 1. To which country you want travel, and why? I want travel to Japan, and that is because I love it the culture, the fashion, and almost everything about the country. I want visit a traditional temple and see many places that I saw on Anime and Manga. And of course I want travel to this country because I love it the makeup and skincare products too. Can be something completely different for me and that sounds great. 2. What is your favorite color? 3. What princess you would like it be? 4. How is your ideal man? I don´t have an ideal type, but I have some characteristics that must be on my ideal man. My ideal man must be smart, must be more old than me at least for three years of difference. He can know that I need time for myself, he needs be a good for listen and give me a good chat. Obviously all these characteristics he need be handsome too. 5. How you consider to yourself? I'm loyal I always there for people that support me and loves me. But usually be loyal is hard because not everyone is good with me, so for that reason I prefer maintain a distance from the people. I'm selfish I don´t care many stuff because I prefer care of myself, first is me, second me and third me. Oh but that is not bad because I learned a lot of myself being selfish. I'm a lover of simple things, because a rainy day can make my day happy, a good chat, watch anime, enjoy a nice book. I´m vain ok that is obvious but well that is like I´m. 1. What makeup product you need use everyday? 2. You plan to have children in the future? 3. What food you hate? 5. What is the most important thing for live for you? I hope you enjoyed this psot! Today I´m here for share with you a lovely store with beautiful wedding dresses, personally I love it the mermaid tail wedding dresses at dress v because are cute, magical and so beautiful. This store Dress V offer beautiful designs and amazing prices on mermaid tail wedding dresses and others designs of dresses too. 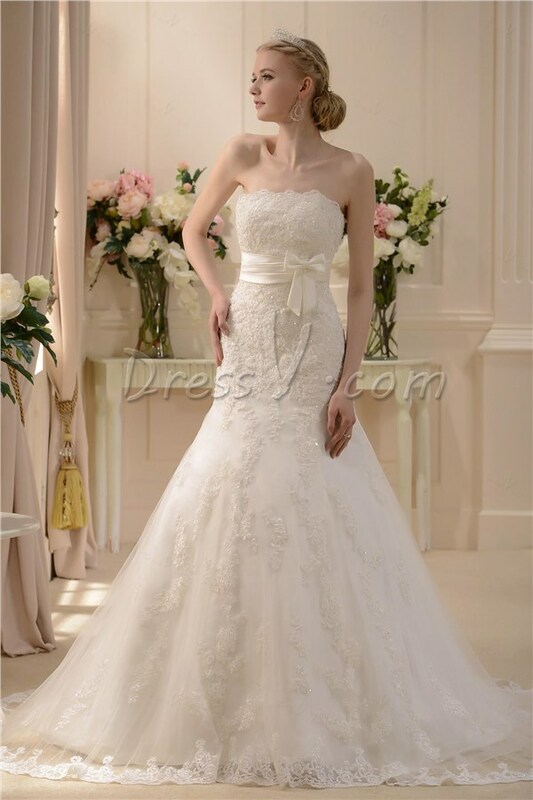 There are wedding dresses in white, beige, red, lavender and many more colors in the design of mermaid tail wedding dresses at dress v and a huge range of prices. ✾ Packaging: It's absolutely cute, has cute flowers the box. The pen is pink with cute flowers and that is really pretty. ✾ Price: The price is about $19.90 in Hanavillage without shipping included. The price is not expensive but either is cheap is just in the middle. ✾ Formula and Quality: The quality is absolutely good. The pigmentation is excellent, the color is exactly like the name "Deep Black" and I love it because a good pigmentation is the first I´m looking in one eyeliner. 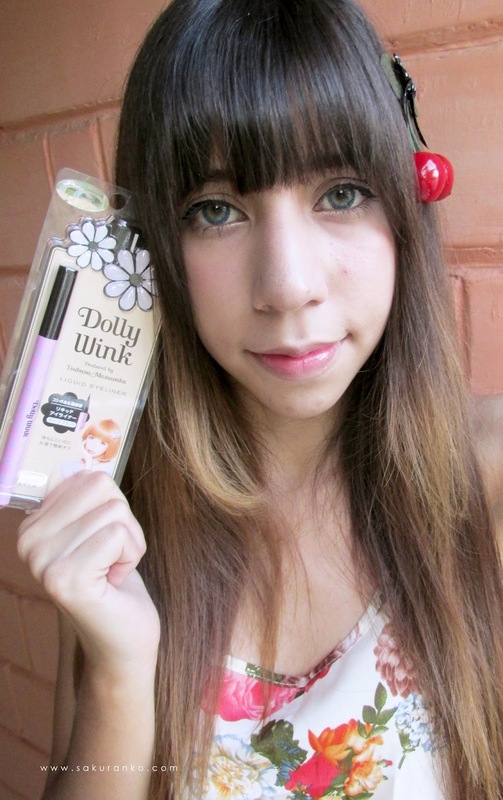 This eyeliner is not waterproof but that is good because even is very easy to remove, this KOJI Dolly Wink Black Liquid Eyeliner is very long lasting. - It has a cute packaging. - The formula is easy to remove. - It has a good pigmentation. - The tip is a brush. (´っ・ω・）っ｡+ﾟ Thank you for your comments and support!